Obtenez ce transfert de bail pendant 40 mois pour des paiements mensuels équivalents U 618.79$/Mois +Tx apr s incitatif. Vous pourrez rouler 1,778 Km par mois. 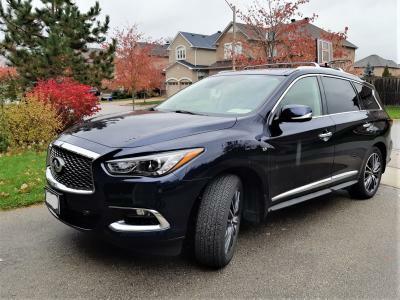 Infiniti QX60 2017 Fermer la fentre. Rear Opportunity! 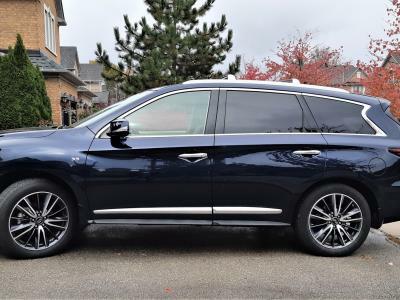 - EXCELLENT CONDITION LUXURY Premium Deluxe Touring & Technology Package 2017 QX60, just ONE YEAR OLD - ELEGANT Blue & Beige, YOU WILL HAVE $5,000 INCENTIVE IN CASH DIRECTLY PAID TO YOU! 100,000km total allowance, mileage 28,900km >>> 71,100km FREE to run! Monthly Lease payments $743.06 before tax = EFFECTIVE PAYMENT $631 (after cash incentive) before tax - Top of the line, this car is fully equipped with everything you can dream of! Lease ends 08/31/2022, Elite Lease End Protection included, Residual value $22,730. 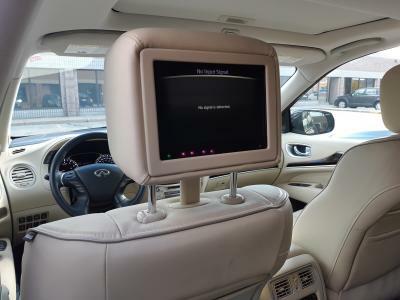 === Smoking Free, One Owner, Gently Maintained, Dual front climate control, Navigation, DVD, Hands-free cellular, Heated steering wheel, All heated & ventilated seats, Heated mirrors, Steering wheel radio controls, Passive /Intelligent Key Push Button Start, Park distance control – and many more. 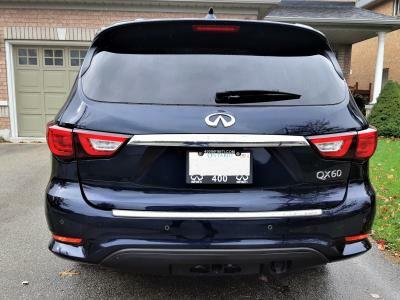 IF YOU REALLY WANT THIS BEAUTIFUL QX60, PLEASE CALL - and we WILL negotiate!